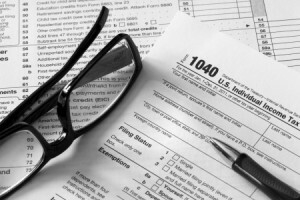 What is the most important thing you look for in a tax professional? Accuracy? Customer service? Knowledge? Are you looking for a company that is locally owned with reasonable fees? Then you’ve described Burch’s Bookkeeping, Payroll & Tax Service. We are a professional group who will always put our clients first. Customer service is HUGE with us. You will never feel rushed, unappreciated or unsure of our abilities to do a professional job for you, always at a reasonable cost. Compare our prices and services with some of the nationwide franchises in town. Our services include: personal, partnership, corporate and fiduciary return preparation. Also, Bookkeeping services, whether your needs are minimal or full service, and payroll services. Many businesses in town use some or all of our services. We are happy to serve clients from any location and can provide services in all 50 states. Burch’s Bookkeeping in located at 301 Crater Lake Ave #C in Medford, Oregon. We are located on the corner of Crater Lake Ave & Jackson St.
We are open all year, 5 days a week from January through April 15th. After that our hours are Monday through Thursday 9:00am-4:00pm. We know your tax and financial needs don’t stop on April 15th so neither do we. WHAT IS THE COST FOR TAX SERVICES? Costs vary depending on the forms, complexity, and time involved. There is no such thing as an average return. Due to the complexity of tax law, and the constant yearly changes in reporting requirements, we refrain from giving quotes over the phone or on our website.. We will be happy to meet with you and give you a quote in person based upon your last year’s return. 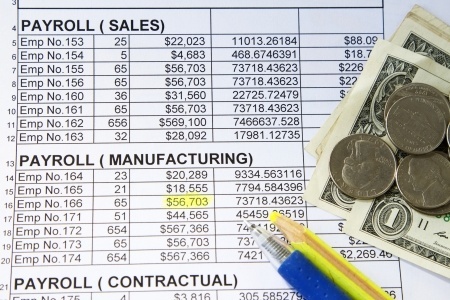 WHAT IS THE COST FOR PAYROLL/BOOKKEEPING SERVICES? Every company is unique. We will be happy to meet with you and give you a quote that is tailored for the needs and requirements of your company. CAN YOU DO MY TAXES FOR PREVIOUS YEARS? Yes, we can prepare your taxes for whatever years you need. Contact Burch’s Bookkeeping & Tax Services today. We can review your needs and provide you with a detailed cost break down. Whether you need to prepare, file or revise your personal or business income tax you can count on the licensed professionals at Burch's Bookkeeping Services. 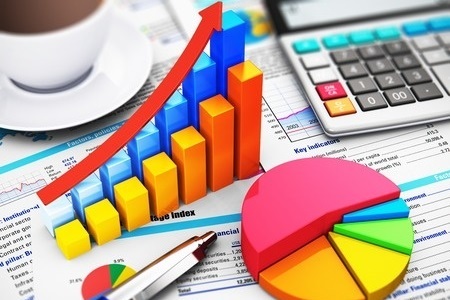 At Burch's Bookkeeping Services we specialize in all aspects of your accounting needs. From monthly profit & loss to year end reports we have you covered! Our solutions help employers like you meet business compliance issues today and in the future as your organization succeeds in this competitive environment. An audit can cause more than just stress. 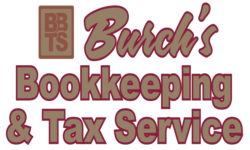 At Burch's Bookkeeping our tax professionals have the knowledge & experience to handle any State or Federal audit.